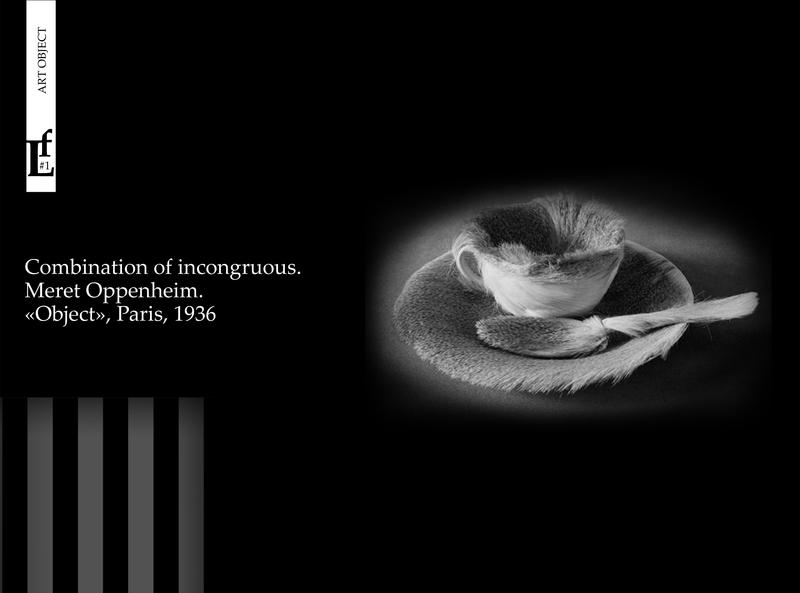 The well-known artist and bright representative surrealist Meret Oppenheim exhibited in 1936, «the most famous tea service in the world» are a cup and a saucer and a spoon, tightly covered with real fur. Combination of incongruous, this is one of the principles of surrealism. The spesial reality where everyday things are transformed into unimaginable objects. The shock, provocation, and also sensuality and extravagance consist there. The mind simply refuses to understand, the subconscious split apart. On the one hand, it is tactilely pleasant, gentle touch of fur, but then we imagine hideous picture of the actual use of this set. This vision causes an involuntary grimace, and particularly squeamish people feel even some nausea. To touch wet fur cup by lips , this test is not for the nervous. It began as a joke over lunch. In 1936, Meret Oppenheim was at a Paris café with Dora Maar and Pablo Picasso, who noticed the bracelet with fur, she was wearing and joked that anything could be covered with fur. «Even this cup and saucer», Oppenheim replied and, carrying the merriment further, called out, «Waiter, a little more fur! » It was presented later in one of the exhibitions of the surrealists, this set had a mixed reaction. It is interesting that Dali used and developed this idea further. He worked for the design of a shop window, where he covered the bath by long black hair. Apparently the owner of the store was not prepared for such an extreme advertising. And after the quarrel with the customer, Dali broke the window and jumped out, together with all of his decorative stuff to the public, passing on the street. So random thought takes the shape, stimulates the imagination, becomes the subject of art.